WE OFFER FREE ESTIMATES! CALL (815) 243-5438 TODAY! 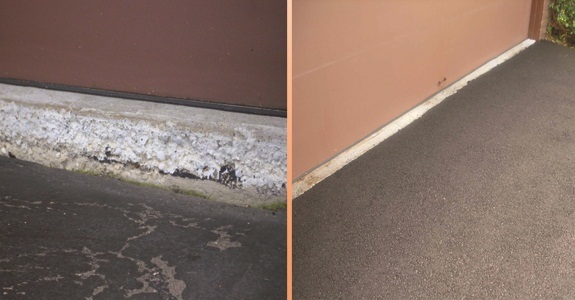 Don’t Replace Asphalt or Concrete … We Can Repair It! Q: How long will it take before customers can park their vehicles in my lot after you sealcoat? 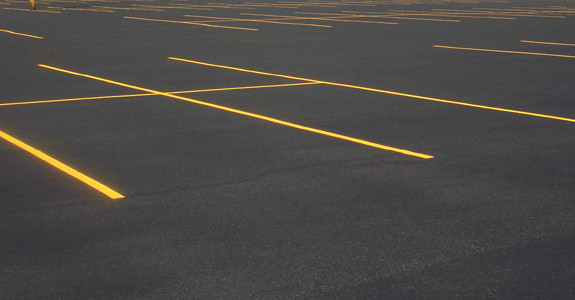 A: We usually recommend at least 12 to 24 hours of dry time between the sealcoating process and when you resume use of your parking lot. Q: How long will it take before customers can park their vehicles in my lot after you repair asphalt? 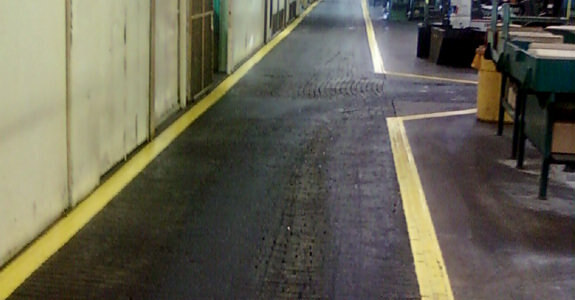 A: We recommend 24 to 48 hours of dry time between the paving process and when you resume full use of your parking lot. 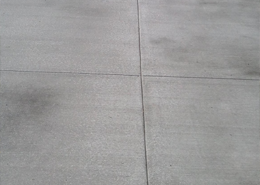 Q: Is decorative concrete (stamped concrete) a permanent process? A: Yes, concrete stamping is a permanent process that can transform regular concrete into very decorative landscaping. 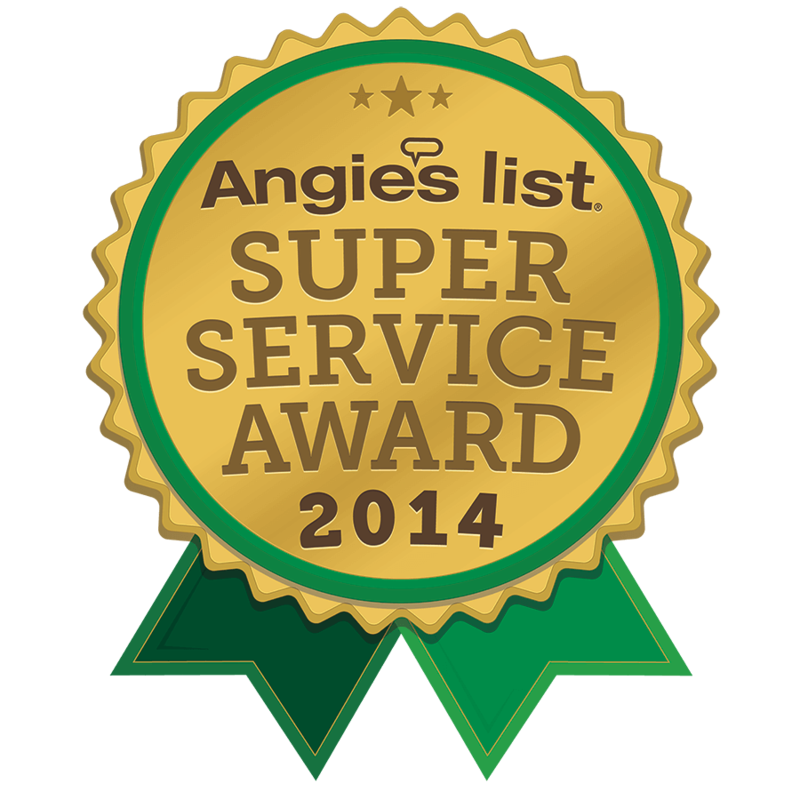 We recommend that you hire us to clean and reseal your decorative concrete about every 2 years. Q: My garage floor sunk almost 2 inches. Can you repair it? A: Concrete is definitely one of our specialties. 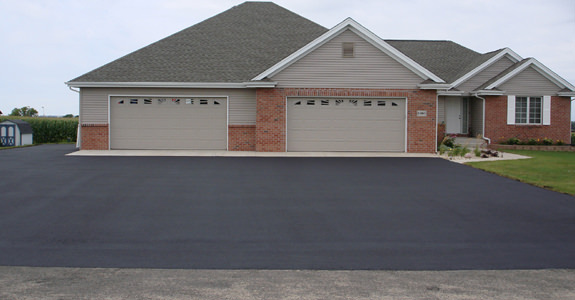 We can certainly repair your garage floor that has sunk. 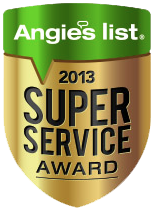 We will need to visit your home and assess the situation before being able to provide a quote. 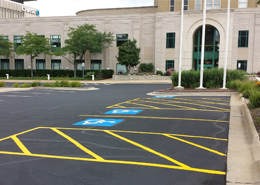 Q: Do I need to hire another company to stripe my commercial parking lot after you sealcoat it? 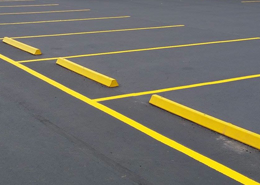 A: Nope, we can stripe your parking lot after we complete the sealcoating process. Please note that we can also stripe concrete for basketball courts, etc. 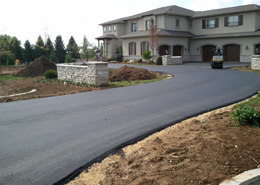 Q: How are you different from other asphalt and sealcoating companies in the greater Rockford, IL area? A: We distinguish ourselves in the industry by providing as many repair options as possible before recommending the replacement of asphalt or concrete. Most other companies will recommend replacement as your option, whereas we would like to supply the budget friendly options prior to recommending full replacement.